Master Tuition has been the Klang Valley’s purveyor of Bahasa Malaysia and English. 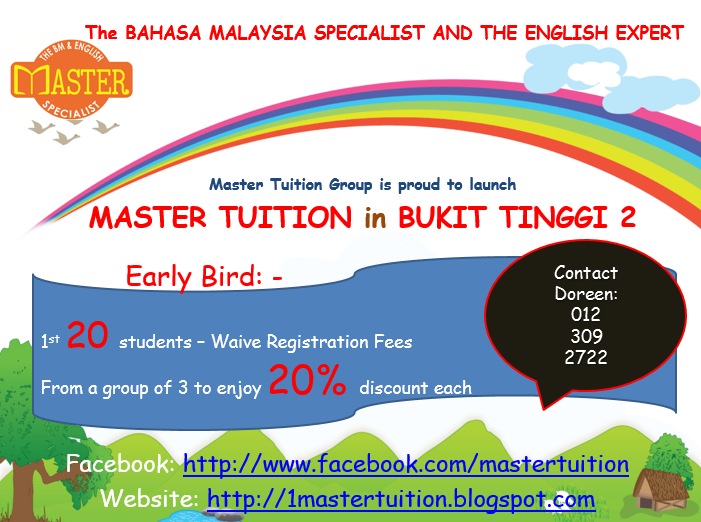 Master Tuition is proud to launch a new Master Tuition in Bukit Tinggi 2. Kindly contact Bryan Low @ 012-664-1376 or Doreen @ 012-309-2722. Previous Previous post: How do you convert or transform from two or more simple sentences to one advanced sentence?